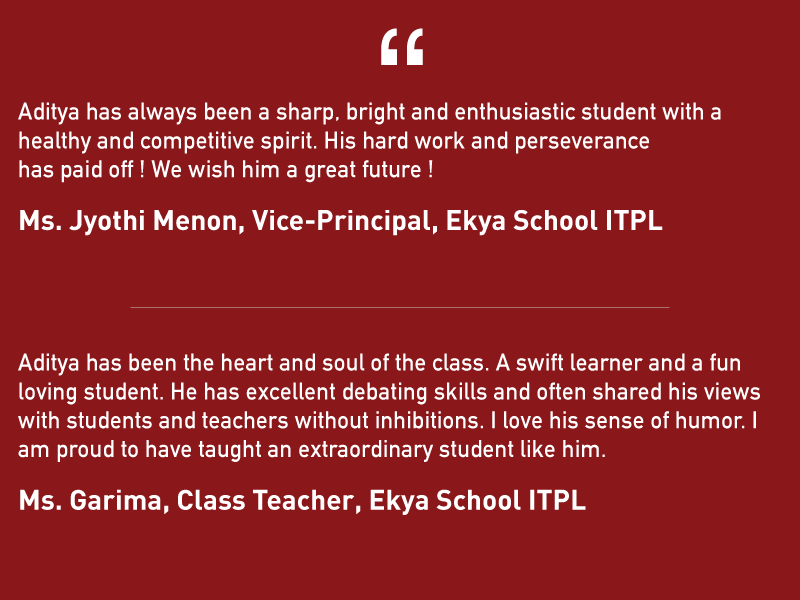 Aditya Kanthi of Grade X, Ekya School ITPL just did us proud by topping his batch in the CBSE board exams. With the excitement of results at an all-time high, we managed to get in touch with Aditya to have an informal chat with him about this achievement. 96.4% and a centum in Science is an achievement for sure, but our topper downplayed the entire story by being extremely grounded and happy yet raring to go all out for the next two years that will shape his career. This aspiring engineer has dreams of making it big in the field of Computer Science or Nuclear Physics in the years to come. Did he really expect to top the school? “I hadn’t really thought about that. I just wanted to do well. I, however, expected a centum in math,” is what he had to say. Did he have a fixed pattern of study? How did he prepare for the exam? What was his day like during the study holidays? Studies were just a daily routine in his day. What was the highlight of his success? He also mentioned that having friends living nearby helped him discuss subjects easily and also have a sense of healthy competition. How did Ekya help in his preparation for the Boards? Aditya, being a self-starter did most of the prep work by himself. He, however, acknowledges his Hindi teacher. “My Hindi teacher helped us a lot, especially since Hindi was a tough subject for me”. He also clarified his doubts with his teachers who were always willing to help. Since the pattern of the exam papers was different this year, it helped to have more practice papers. Using Question banks to solve different questions helped predict the questions for the exams. And our teachers helped by taking us through the additional preparation material. I ensured that the 40 days of study holidays was dedicated to revising the entire syllabus and being prepared for the exams ahead. How did it feel with the spotlight on him? “It does feel weird but it’s ok.” He does admit that he would like to put it all away now and get on with his life. This student is really not fond of all the attention. Aditya has just 3 things to say to his juniors. What are your best memories from Grade X? Aditya was quick to talk about friends and how they all played together regularly and had a lot of fun. He did also mention that the flip side of going to school was the fact that they had to study a lot. However, what really was top of mind and caused him some fun anxious moments were his teachers constantly telling him to get a haircut. This teenager is fond of beaches and motor vehicles. His favourite holiday destinations are Goa and the United States. He loves cars and bikes and would love to own a Ducati Master one day. He also follows Politics ardently especially the Indian political scene and that of the United States and finds it interesting to watch the news updates. Kudos to this focused and resilient teenager and wishing him all success in the future. 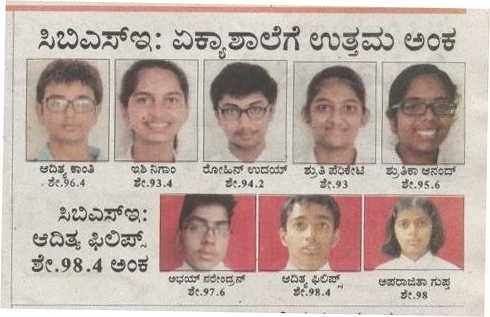 Kaavya Srikumar secured 97.2% in her Grade XII CBSE Boards, topping not just her school, Ekya School ITPL but is also one of Bangalore’s toppers. 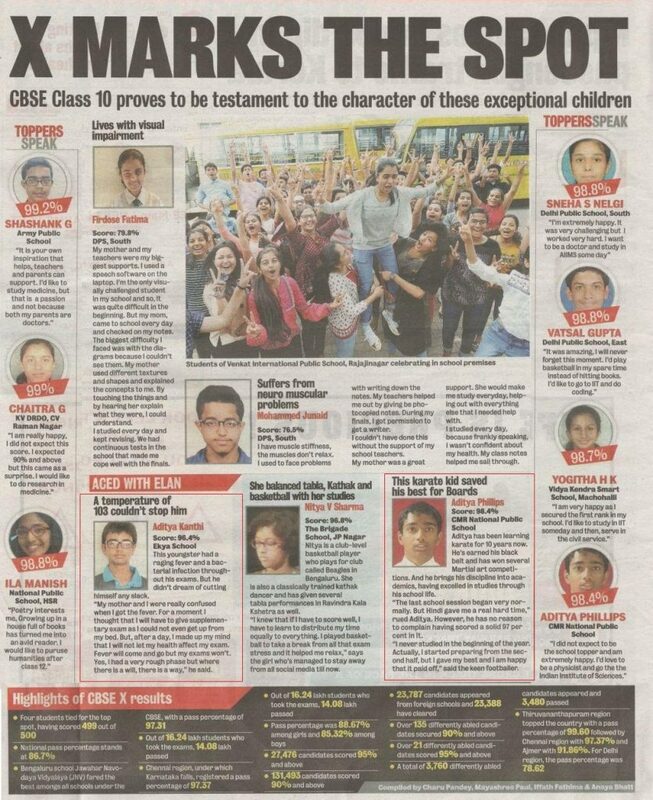 Securing 97.2% in the Grade X ICSE Boards, Devaamsh Rajesh is not just our school topper at Ekya School JP Nagar but also one of the city’s leading board toppers. 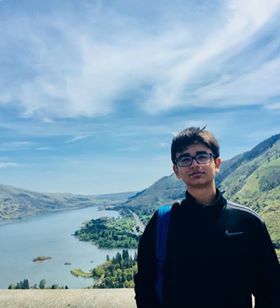 With 97% in the Grade XII CBSE Boards, Abhishek Kumar Singh from Ekya School ITPL shares his secrets on how he pulled off such a remarkable result.